Camersoft Skype Video Recorder could record skype video call and convert video to MP4, WMV, AVI, iPod. 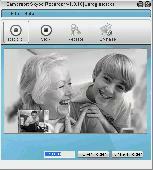 AthTek Skype Recorder concentrates on providing high-quality Skype recording services in both audio and video formats. It automatically record Skype calls and save recordings as MP3, WMA, OGG, FLAC and AVI formats. Skype Spy Monitor secretly record Skype's incoming and outgoing chat messages. It runs completely invisibly so that Skype users won't know its existence. Skype Spy Monitor send log reports to your email or ftp periodically. skype recorder,record skype calls. 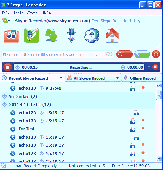 iFree Skype Recorder is a free tool for recording Skype audio conversations. 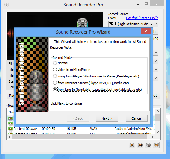 This is a lite version of AthTek Skype Recorder Pro. It has the same quality in audio call recording, and it can also save the recordings as MP3, OGG, WMA, FLAC formats. It will only record audio in Skype video calls. AthTek Skype Recorder concentrates on providing best quality Skype calls recording services. It performs as HD video recorder and audio recorder in the Skype call. Both private and commercial uses are supported. Record ANY Skype video chat, voice conversation or voicemail with ease. Just start a Skype call, open Replay Telecorder & click record. To playback just double click on the file. Video calls can be saved 5 different ways, in 100% digital quality. Skype Voice Changer is a cute program for Skype users. It can flexibly change your voice pitch from male to female in the Skype call, and send funny sound emotions to your contacts. It can also record Skype calls including your changed voice. RSkype Recorder Record high-quality Skype voice and video... Best of all the Skype Recorder software! Ondesoft Audio Recorder for Mac is audio recorder and editor to record audio from applications(Safari, Firefox, Chrome, iChat, Skype, Real player, iTunes, QuickTime, VLC) and websites (Facebook, Pandora, LastFM), Mic,CD player and line-in. Movavi Screen Capture is perfect for recording any kind of screen video on your Mac. Record Skype calls, live stream events, web content, or program activities at up to 60 fps and save them for Apple devices or other brands in one click. PrettyMay Call Recorder for Skype (PMCRS) is a powerful Skype add on, which allows you to record skype calls on Windows easily. Camersoft Skype Recorder is a powerful webcam recorder software which could help you record Skype video during your conversation with others. - Record Skype calls, Record conference calls, saving them as MP3 or WAV files in a separate channel. - Call recording duration for each coversation. Chat Translator for Skype is designed to help users to translate your Skype chats in 15 different languages using 15 different language pairs in real time. This instant Skype Chat Translator fully supports both of the classic Skype 3.8 and the latest Skype 5.0. Pistonsoft Skype Recorder allows you to record Skype calls and save recorded conversations both locally and in your Google Mail account . Pistonsoft Skype Recorder allows you to Record Skype calls and save recorded conversations both locally and in your Google Mail account . In both cases, audio logs are saved as compact high-quality MP3 files. Sound Recorder Professional enables you to record your own voice, music or any other sound. It supports recording from a microphone, external input devices, as well as other applications. Save your recorded sound as MP3, WAV, WMA, APE, OGG and etc. Have you ever felt the need of a plug-in or add-on with which you can record your Skype business meetings or conference call? Pamela Pro is a program that can record Skype audio and video calls. Pamela Pro is a program that can Record Skype audio and video calls. It can be set to Record calls automatically. We can also Record chat messages. There are features like call scheduler, conference manager, birthday reminders, email forwarding, etc. PowerGramo Professional is an automatic tool to record skype calls. It provides you also separated audio channels for microphone voice and callers' voice. Callnote is a free Skype application to record Skype conversations and automatically send the recording to your Evernote notebook. The program can Record multiparty calls, up to 8 lines at once. Automatically save the names of all the participants as well as the call duration. Record Skype calls with the Call Recorder and so much more.